After our stay in Delft, we made our way south with the rental car to Bruges, Belgium. We decided to take the scenic route and travel through the Zeeland province and get a view of some of the more impressive dijken (dikes). Unexpectedly, we had even more scenery as we inadvertently chose the "Concert at Sea" weekend that blocked our original route along the dike, but we still managed to get into Bruges without much problem. 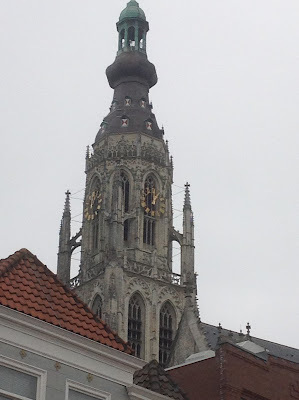 We stayed in the city centre of Bruges, which is a beautiful, classic city. The main square made us stop in wonder and the lovely homes along the canals can only be described as picturesque. Our hotel was alongside a canal and a short walk to the main square. Since we arrived later in the day, our mission the first evening in Bruges was to find milk for the Little Man before the stores closed (we buy the shelf stable milk so that we can keep plenty when there's no refrigerator available), find some dinner, and call it a night after the morning adventures in Delft, and the long drive. The next day was for renting bicycles and the exploring the countryside. We rode along a canal and got to see much of the farmland, grazing animals, and a working windmill that you can go inside. We continued to take the path to see two more windmills out in the country (one in private ownership, but appointment only and one without blades) before stopping in Damme for a brief rest and exploring an old church yard. On the way back into Bruges, along the edge of the city centre are 4 small windmills all in a row in a park along a canal. Once back in the city, we returned the bikes and then made our way over to the the Halve Maan Brewery for a tour of their facilities and a tasting of their Brugse Zot blond. For more local tasties, we headed over to a chocolatier for some of the famous Belgian chocolate. That Sunday, we started making our way back toward Tilburg, but decided to swing past the famous Flanders Fields of Ypres, Belgium. 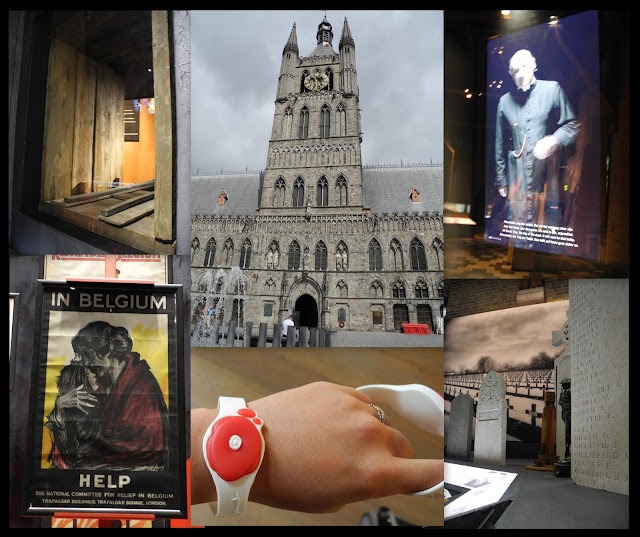 We spent a considerable amount of time at the In Flanders Fields Museum, and this is one of the better history museums I have seen. The museum uses all sorts of media for visitors: artifacts from the war, film, hologram/films of testimonies of those that lived through the war (portrayed by actors), and bracelets with chips inside that allow you to "tailor" your experience by getting information at designated stations of someone from your own country/region. The museum visit itself feels more intense from the dramatic music that plays throughout the exhibits, and I would not recommend for most young children. Little Man did alright, even with the hologram of the soldiers wearing gas masks - perhaps he's too young yet for any of this to bother him - but you may want to find another activity for the kids. From the museum, we walked to the Menin Gate Memorial to honor the soldiers of the British Commonwealth that were killed or missing during the fighting at Ypres. The structure is massive, and the number of names listed along the walls gives you pause; making the visit after going through the museum made the weight of history that much more noticeable. 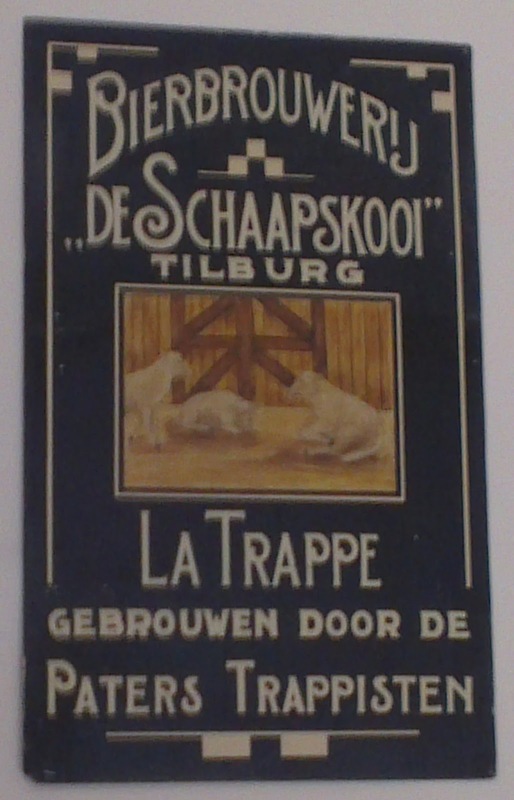 Once we were back in Tilburg, my memories have started to run together a bit (shame on me for not writing it all down sooner), so I'll provide the highlights of what we shared with Grandma and Grandpa. 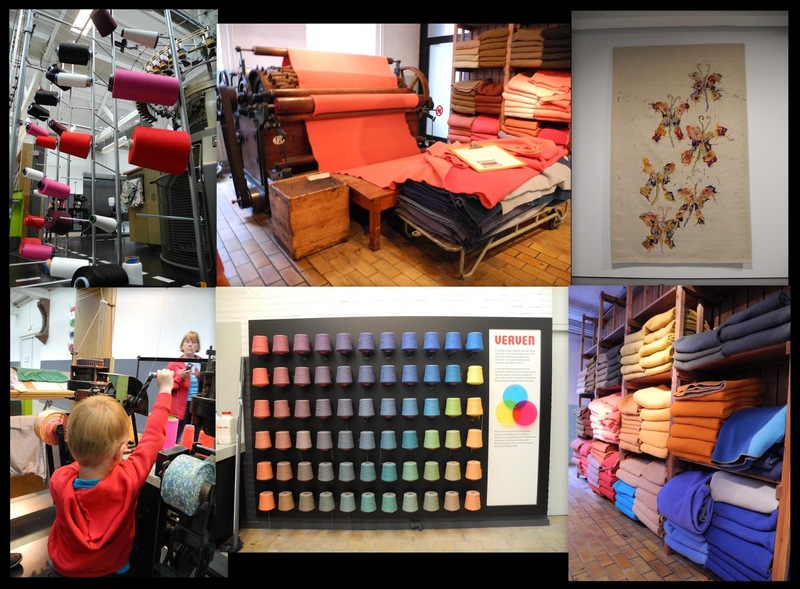 The Textielmuseum: Tilburg's existence is due in large part to the textile industry. The museum has a wonderful mix of history, working laboratories, and artists' work on display. And, of course, a very nice gift shop. Museum De Pont: Great works of contemporary art held in an old wool mill. It's an extensive private collection. It's a great space and fun - but maybe not for children. Since the exhibits are sometimes "whimsical" and easy to reach (sometimes in the middle of the floor), Little Man wanted to do just that. 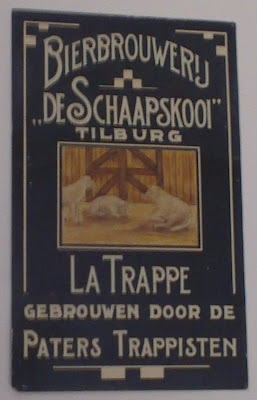 La Trappe Brewery: We've been here before, but thought our guests would like to enjoy the tour with the gregarious guide. We sampled delicious beer and snacks from the restaurant while they went on the tour, and met up in the abbey's shop. 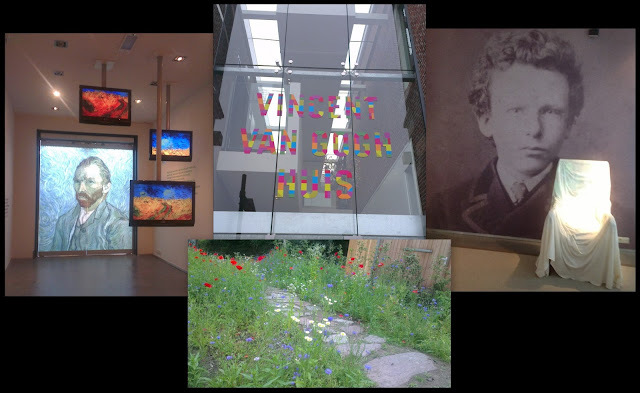 The Vincent Van Gogh Huis in Zundert: A nice little museum built at the place of Van Gogh's birthplace (the original home has since been destroyed). It's a nice museum, though it's very short - only 2 rooms about Van Gogh and then another room currently featuring other artists. But the rooms about Van Gogh give more information about his family and insight what led to his career as an artist and life decisions. Tour of Breda: Breda is an ancient and beautiful city. We used the same walking your from one of our past adventures. We took time to explore the Grotekerk, which does a lovely job showing the history of individual wall paintings recovered and restored,and enjoyed the organist's practice time. 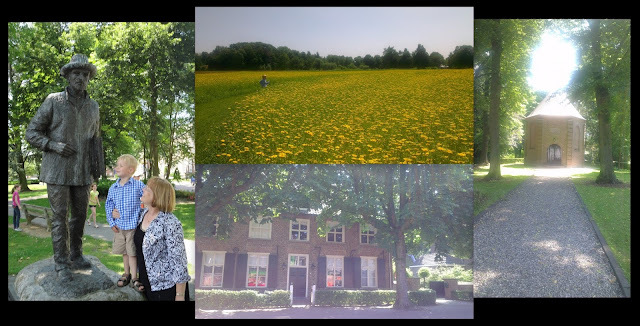 A bike ride to Baarle-Hertzog/Baarl-Nassau: The weather was gorgeous, and being able to stand across a national border is something unique - particularly when you're in the same town. We thought we'd share the experience with Grandma and Grandpa, but with fewer sandy roads than our first attempt. A brief tour of Nuenen: Van Gogh's parents moved to Nuenen, and Van Gogh lived with them for 2 years as an adult. He drew much inspiration from the town and environment in Nuenen. The tour books of the Netherlands either don't mention the village or hardly make note of it, but it has done much to preserve the memory of its adopted son. There is a walking tour with information posts in Dutch and English around the centre and the VVV Office (tourist center) has more information than most. We plan on going back in the future since we just didn't have enough time to do the village justice. Nuenen - Little Man and Grandma with the Van Gogh statue, wildflower field, Van Gogh's father's church, Van Gogh's parents' home. 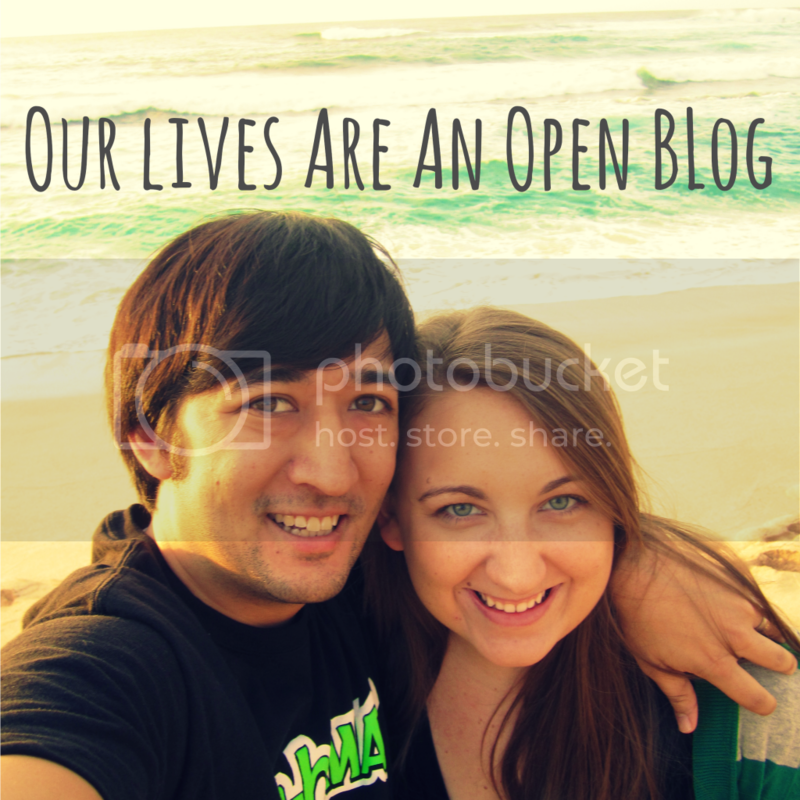 As usual, we enjoyed our visitors and our adventures! While our plans for visitors are over for the summer, we've got more adventures in store. Our running Museumkaart score: Free entry to Textielmuseum Tilburg, Museum De Pont, Vincent Van Gogh Huis.